The Intuos4 S is the high performance pen tablet that′s perfect for mobile professionals and widescreen notebook users, combining stunning ergonomic design with enhanced functionality, extraordinary ease of use and state-of-the-art, proven technology. 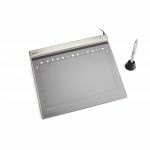 Intuos4 will take you to a new level of natural, flexible and efficient creative working, ensuring you get the most from your digital media software. 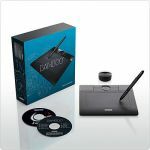 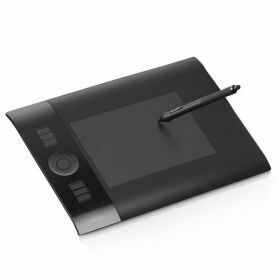 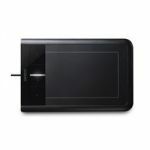 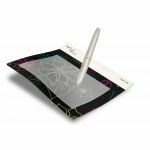 As all Intuos4 pen tablets, the Intuos4 S comes with the Intuos4 Grip Pen (including one Stroke, three Felt Pen and the new Flex Pen nib plus the thick-body replacement grip), the ExpressKeys as well as the Touch Ring.